Arizona Cardinals – Nick Bosa, DE, OSU.The Cardinals do not need a DE but passing on this caliber of a player would be just down right dumb. 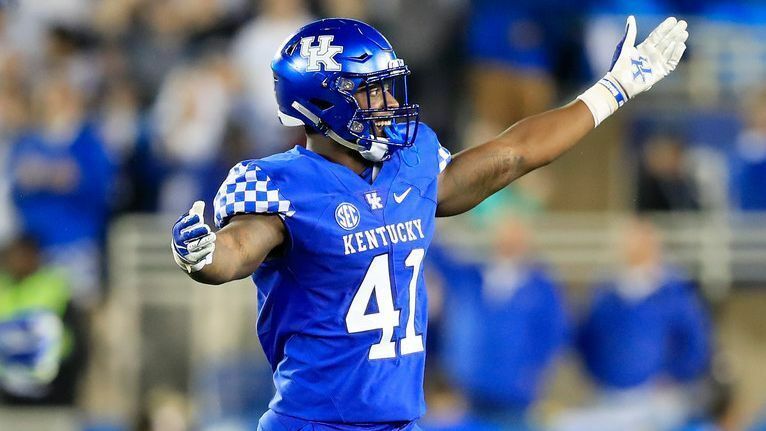 San Francisco 49ers – Josh Allen, EDGE, Kentucky. The 49ers desperately need defense and the number one spot on defense they need to fix is the edge. Jacksonville Jaguars (Trade with Jets) – Dwayne Haskins, QB, OSU. I think the Jags will try and jump up in fear of the Raiders, Bucs and Giants who are all looking like they want to move on from their QBs. Gruden is cleaning house, Winston has been benched, and Eli is Eli. Oakland Raiders – Quinnen Williams, DT, Alabama. The Raiders have three first round picks and since the best QB is gone they will look to the defense. Williams is the best DT in the draft so they will happily take him. Tampa Bay Buccaneers – Greedy Williams, CB, LSU. The Bucs need a lot of help and they really need a safety. Williams isn’t a safety but they also need a corner so he can play corner and a little bit of safety. New York Giants – Jonah Williams, OT, Alabama. The Giants will wait another year to get a QB to replace Eli so they have to plan to protect the future of the team. Beefing up the line will always help who ever will be the QB in 2020. New York Jets(Trade with Jags) –K’Neal Harry, WR, Arizona State. Sam Darnold needs a receiver who can help out. 6’4” and 215 lbs he is the type of player who can get up and make a play. Detroit Lions – Clelin Ferrell, DE, Clemson. Lions need defense really bad and at all positions. Corner would be first but since Greedy is gone they also need a DE just as bad. Buffalo Bills –Cody Ford, OT, Oklahoma. Ford fits perfect in the Bills system and having a young QB more protection is never a bad thing. Denver Broncos –Kyler Murray, QB, Oklahoma. Everyone knows that Keenum was a temporary fix and if Murray just drops in the Broncos laps they would be idiots not to take him.